In 2003, the world saw the fragrance Christian Dior Higher Energy, invented by perfumer Nathalie Gracia-Cetto. Pure, fresh and exhilarating scent tells about who is young with a soul, who has an open heart, striving to feel the joy of life in every heartbeat. Pure fruit notes fill the scent with freshness and juicy coolness. The mist of mint shades envelops the sweetness of the melon, the refreshi.. In 2003, the world saw the fragrance Christian Dior Higher Energy, invented by perfumer Nathalie Gracia-Cetto. Pure, fresh and exhilarating scent tells about who is young with a soul, who has an open heart, striving to feel the joy of life in every heartbeat. Pure fruit notes fill the scent with freshness and juicy coolness. The mist of mint shades envelops the sweetness of the melon, the refreshing notes of grapefruit hide the sugary sensuality of the pineapple, and the juniper tartness complements this sensual harmony the masculine. The pungent bitterness of pepper shades is woven into an amazing gamut of passion with exhausted incense and enticing sexuality of nutmeg. 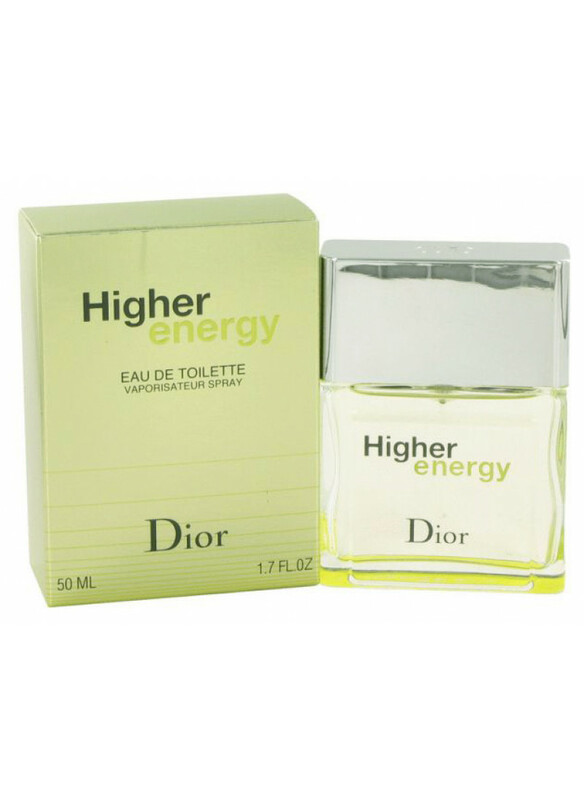 Rich in woody fragrance, Christian Dior Higher Energy perfume attracts you with its true coolness. Incense gives it an unearthly aura. The elegant sound of shades of sandalwood, mysterious - wood moss in combination with vetiver and musk make you strive for perfection. It must be in everything - in the image, in the actions, in the aspirations, in the thoughts. The perfection of a man who chose Christian Dior Higher Energy perfumery is not only a snow-white shirt and a strict suit. He has a decent frame - his life is full of energy, rapidly changing moments. He can not stop - moving forward to a new dream - this is the meaning of his life. The clear sound of the Christian Dior Higher Energy fragrance tells others that he is the one to whom you can go ahead, because he knows that life is fleeting, that youth is just moments that need time to use. He knows the way, will be able to overcome all obstacles in order to set new goals for himself.